I hope everyone had a wonderful Holiday! This past month has been so hectic and I'm sure you've been aware of that by the lack of posts I've delivered, and I'm so sorry! I am feeing a lot more inspired and ready to put my 200% back at it. I hostly didn't realize how much I would miss writing and sharing my thoughts with you guys until I actually took some time off. 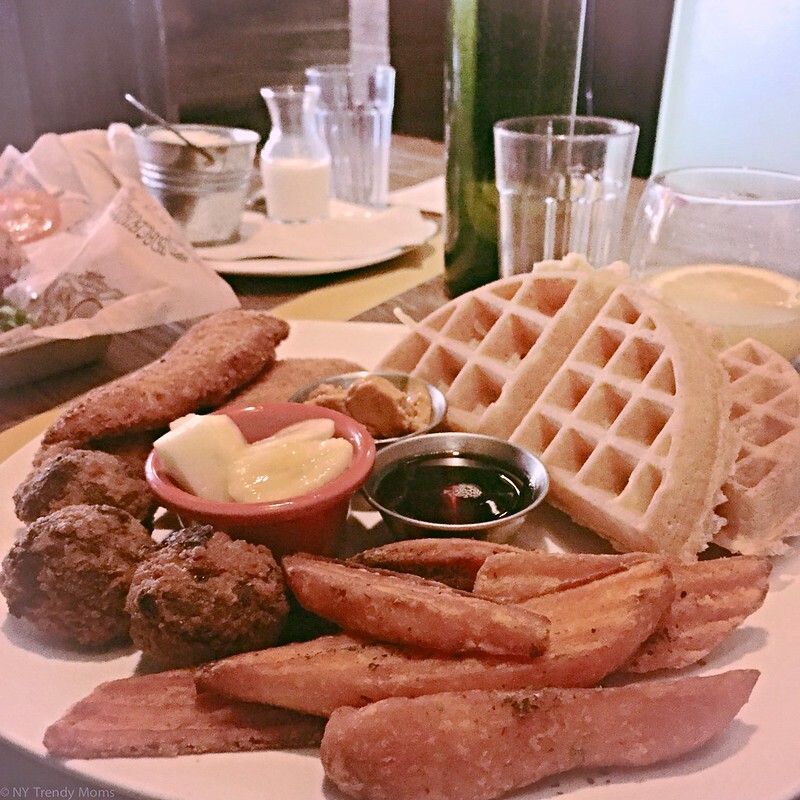 A few days ago my Mr. and I visited BareBurger for brunch. We often dine there because it's an organic and all natural restaurant that offers vegan, gluten free choices as well as his favorite food, burgers! My favorite item to order used to be the mexican salad but since then they've changed the menu and now they have this one called Guapo Chop, Yum so delicious!! This salad is filled with pico de gallo, guacamole, pickled onions, jalapeños and so much more deliciousness. For brunch they offered a different menu which I was surprised to see. I honestly didn't want to go with the same salad anyways, even though I live for it. I decided to indulge on chicken and waffles! I know, I simply couldn't help myself when I saw it on the menu! I absolutely loved this order so much that I asked the manager to add it on the regular menu. He laughed and said lets see. I mean, theres a possibility right? I've always been a lover of all things savory, sweet and spicy and this dish has it all. Waffles, chicken, fruits, maple sirup, sweet potato fries and some type of banana fritters. I am telling you, it's heavy but isn't that what brunch is supposed to be? 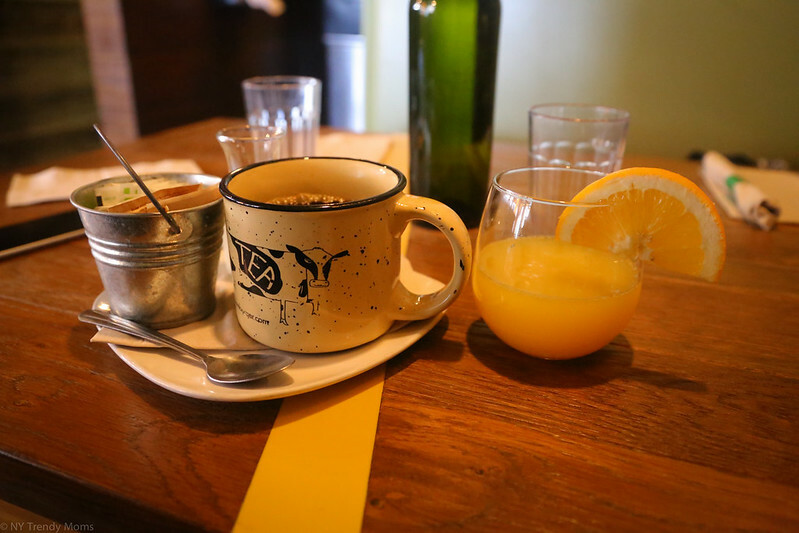 My order came with a drink and I chose a refreshing mimosa, of course. 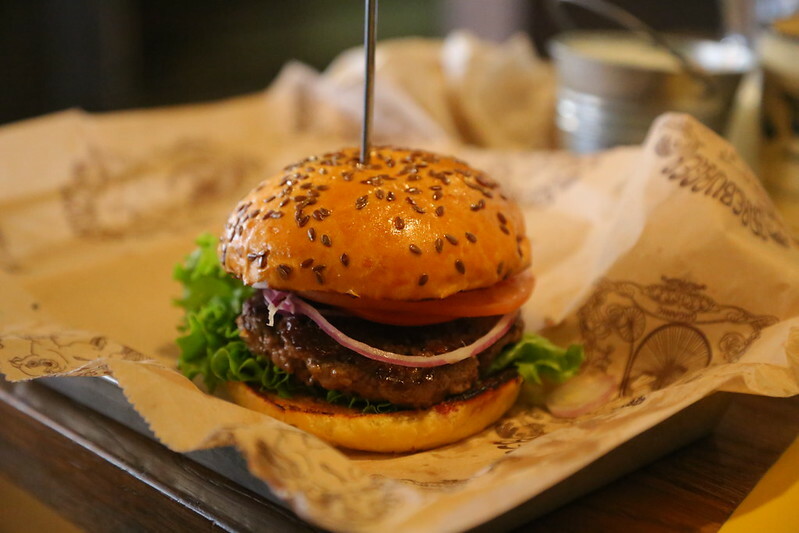 If you'd like to visit this restaurant stop by bareburger.com and find a location near you. You can also order online! & if you decided on trying any of the places I blog about make sure to tag your photos on social media #NYTMeats. Happy weekend!